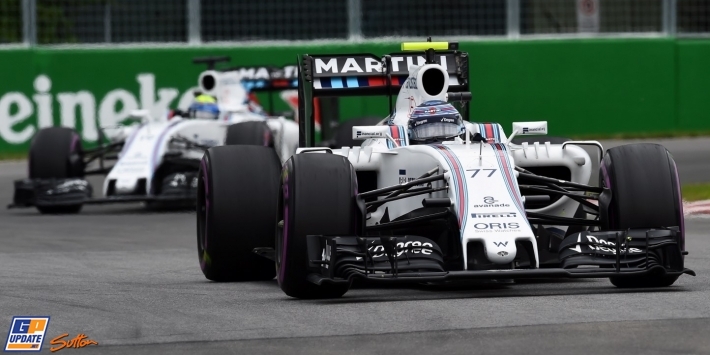 28 June 2016 – Pat Symonds is confident that Williams will deliver another strong Austrian Grand Prix performance, though remains wary of changeable weather and a resurfaced track. Mercedes-powered Williams has impressed at the Red Bull Ring since its return to the calendar, locking out the front row of the grid in 2014 and twice finishing on the podium. Symonds, the team's technical chief, expects that trend to continue at this year's event, but has warned that predicted rainfall and a new track surface could alter the pecking order. "We are in the middle of a phase of high-speed circuits of which Austria is typical, and as such favours the characteristics of the FW38 and the Mercedes power unit," said Symonds. "The circuit has brought us success in the past, and we have every reason to believe that it will do so again. "However, for this third visit here with the hybrid cars we will see a couple of significant differences. "The first is the weather, which is predicted to be unsettled throughout Friday and Saturday, with current forecasts showing Sunday as the only potentially dry day. "Perhaps more significantly is the fact that the circuit has been completely resurfaced. "In the recent European Formula 3 race, teams reported that it was more severe on tyres, which makes the prospect of a dry race following damp practice sessions even more challenging. "That being said, we expect to see a two-stop race and the selected tyre choices seem to reflect that. "Whatever [weather and track] conditions are thrown at us, I have every confidence that the team will come through to gather a strong haul of points [in the race]." Follow qualifying for the Austrian GP! Follow final practice for the Austrian GP! Mercedes' Nico Rosberg and Andrew Shovlin discuss the challenges of the Austrian Grand Prix.